The Obama Administration gave $529 million in loans to a car company in Finland that made $100,000 lemons. Now the company is in financial trouble and the cars are burning down garages. Oh… And the green company is linked to Al Gore. In 2009 the Obama Administration gave a $529 million U.S. government loan to help build a hybrid sports car in Finland. The company was promoted by Al Gore. DOE officials spent months working with Fisker on its application, touring its Irvine, Calif., and Pontiac, Mich., facilities and test-driving prototypes. 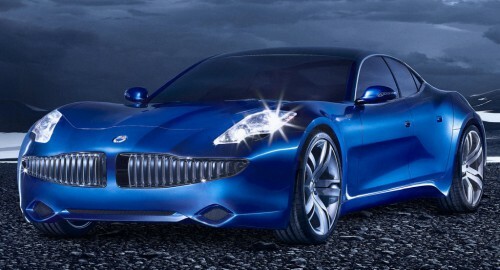 Matt Rogers, who oversees the department’s loan programs as a senior adviser to Energy Secretary Steven Chu, said Fisker was awarded the loan after a “detailed technical review” that concluded the company could eventually deliver a highly fuel-efficient hybrid car to a mass audience. Fisker Automotive isn’t the next Solyndra — it’s worse. Nearly $200 million into a $529 million loan from the Department of Energy, Fisker’s yet to build a car in the United States. The current model they offer, the Karma, retails for a reasonable $103,000. And here’s the fun part. The Karma, produced in Finland, first suffered a recall in December. That recall expanded recently — in no small part due to a Karma in Texas lighting on fire and burning down the garage where it was parked. It appears that not only are these not American cars, but they’re not even particularly safe for American drivers. But don’t fret. It was only a cool $200 million down the drain. And, of course, no one will ever be held accountable for this green scandal. And liberals are laughing all the way to the bank.